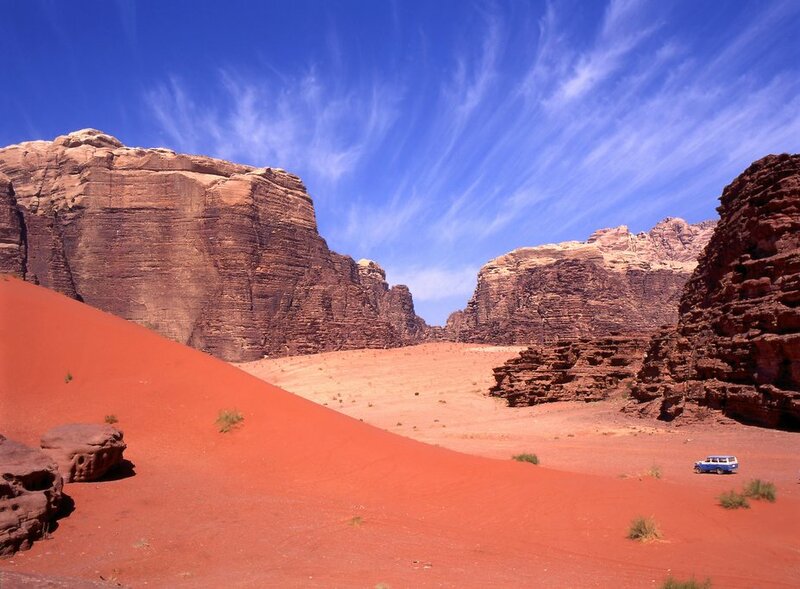 Wadi Rum is one of the world's most beautiful deserts. More than just a sea of rolling dunes, this protected wilderness near Jordan's southern border is made unique by the dramatic sandstone and basalt mountains jutting out of its sandy floor. Named "The Valley of the Moon" for good reason, the area's natural intrigue is endless: stunning rock formations, fascinating rock art, and a brilliant night sky combine to create a unique and worthwhile destination. 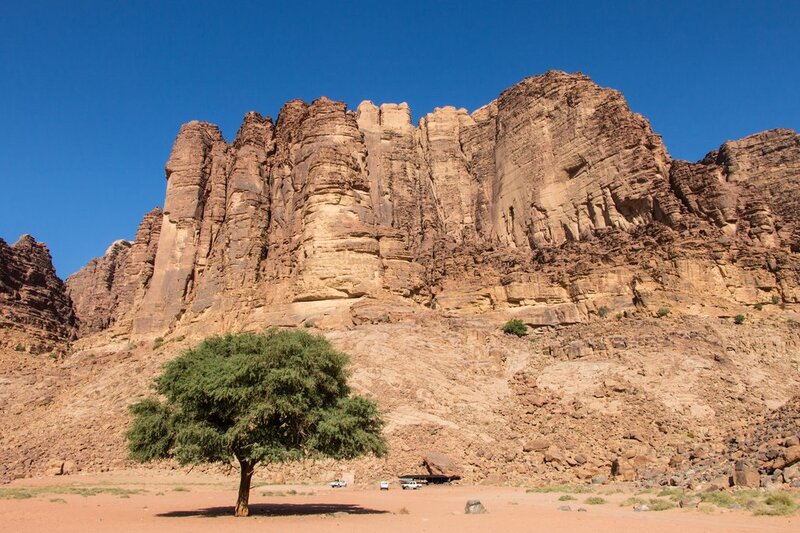 Keep reading for a comprehensive guide to Wadi Rum, and start planning your perfect trip. 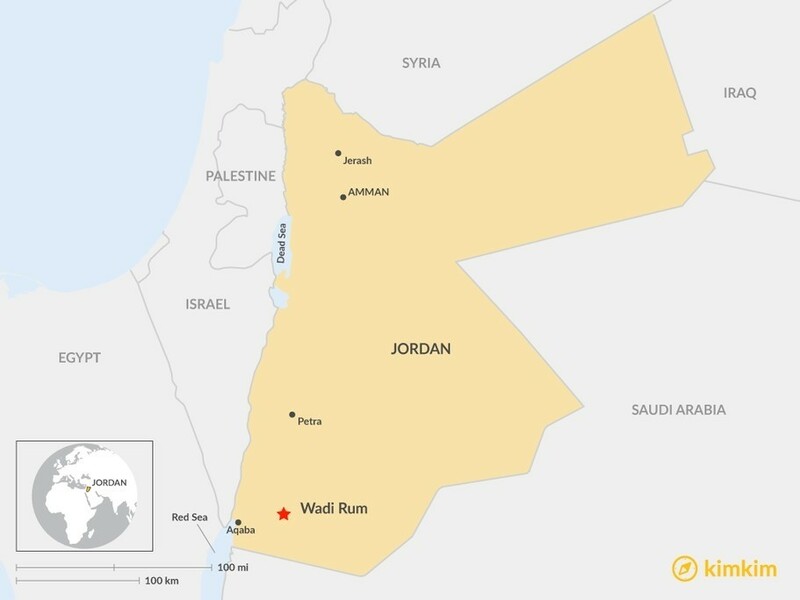 Are you planning a trip to Jordan? Beyond the inherent beauty of Wadi Rum, its storied history and a rich cultural element add to its allure as a destination. 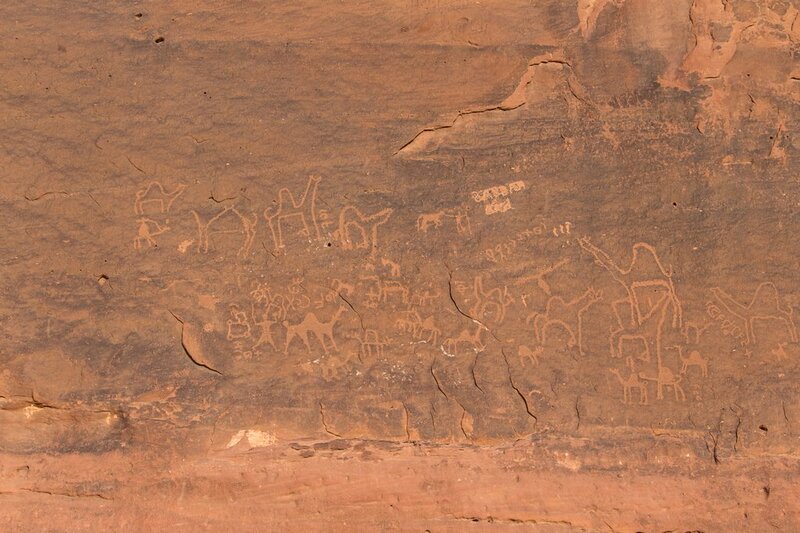 Petroglyphs, inscriptions, and scattered ruins can be found throughout the desert, the remnants of prehistoric Nabatean society. 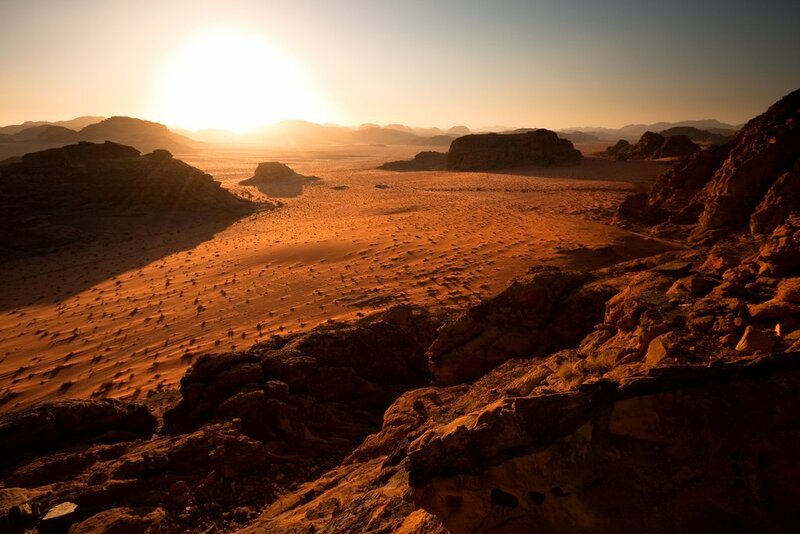 More recently, Wadi Rum was introduced to the western world by T.E. Lawrence, famously known as "Lawrence of Arabia," a British officer-turned-author who was periodically based in the area during the Arab Revolt of 1917. 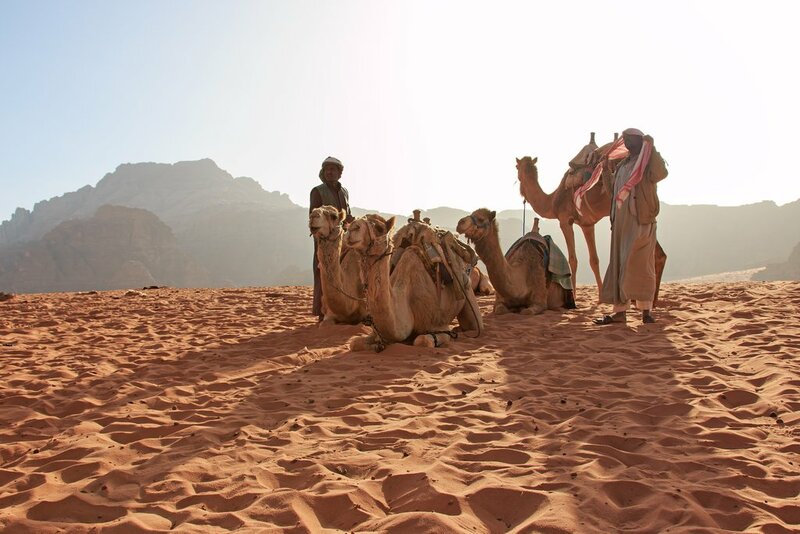 Nearly all current residents of Wadi Rum are Bedouin. Ancient Bedouin tribes were nomads, herding their goats and sheep around the desert, moving frequently and setting up temporary settlements as they went. While some continue to maintain a traditional nomadic lifestyle, most now live somewhat permanently in Rum Village - the only settlement in the protected area - and are heavily involved in the area's tourism industry. 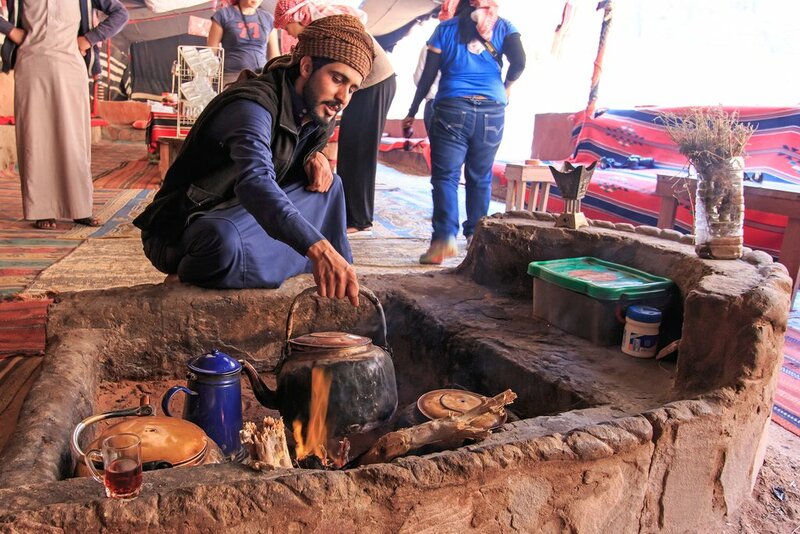 Many elements of Bedouin life remain ubiquitous in Wadi Rum, allowing visitors to enjoy an authentic cultural experience during their visit. With nearly 300 square miles of terrain, Wadi Rum is big enough to spend your whole vacation exploring. Most travelers only opt for a day or two, so strategically prioritizing your activities is crucial. Here's more information on how many days to spend in Jordan. For travelers planning a day trip from Aqaba or Wadi Musa, a guided Jeep tour of the area is the best option for maximizing your time. Depart from Rum Village and head to Lawrence Spring for a short, rewarding scramble with sweeping desert views. From there, make stops at Khazali Canyon and Anfishiyyeh to marvel at ancient inscriptions on the impressive rock walls. After an authentic Bedouin lunch in the shade, take a scenic drive to Um Fruth rock bridge before continuing to the lush Abu Khashaba canyon. Learn some local lore with a stop at Lawrence House, and make sure to visit at least one of the area's massive sand dunes before taking in the sunset at Um Sabatah and heading back. Staying overnight in Wadi Rum for at least one evening is highly recommended. Sleeping under the desert stars is unforgettable, and you'll be treated to an immersive Bedouin experience. Tour providers typically have associated overnight camps that range from rustic to luxurious - we've included a list of some favorites in this article. Most offer delicious Bedouin dishes for dinner, accompanied by storytelling and live music performed on traditional instruments. Perhaps the best part is the brilliant night sky - second only to the cup of hot tea you'll enjoy the next morning. Adding another day (or two!) allows time to see more of the area's best-loved attractions. Spend a morning climbing to the top of Burdah Rock Bridge, the tallest natural arch in Wadi Rum, where you'll be rewarded with breathtaking views. After lunch, take a scenic stroll to your second arch of the day at Um Fruth. 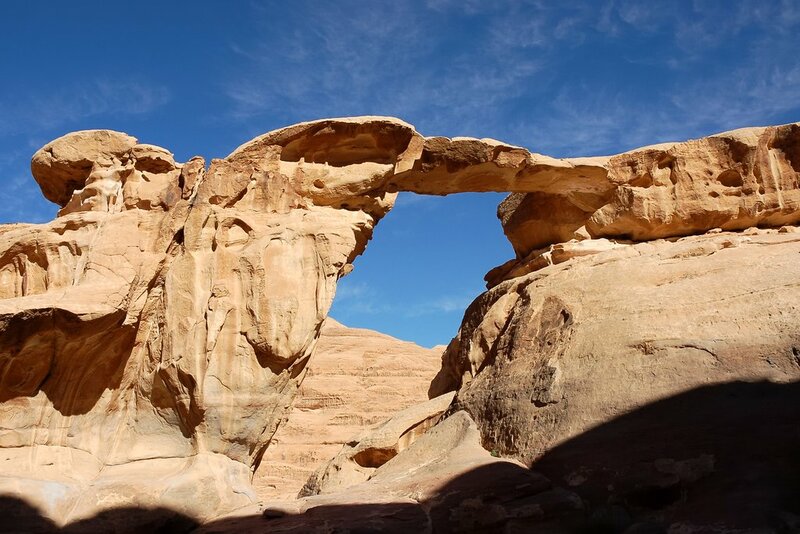 Another option for travelers with extra time is a walk through Wadi Nuqra, a picturesque canyon, eventually hopping in a Jeep for a ride to the Bedouin dams and to admire Cow Rock - an aptly named natural formation. You can also add some more adventurous activities to your agenda: ride a camel to some well-known sights, go rock climbing with a guide on ancient sandstone walls, or take in the sunrise from a hot air balloon. The sky is literally the limit. There are a few different ways to make your way through the dunes and valleys of Wadi Rum's otherworldly landscape. 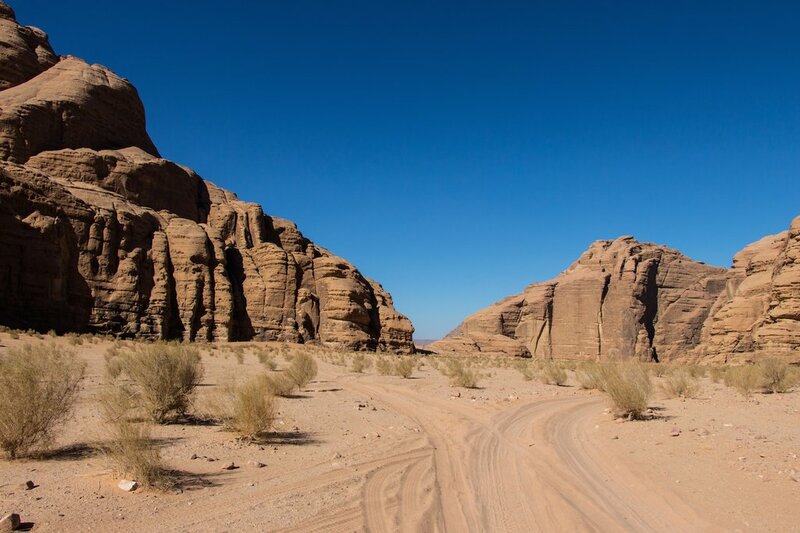 Whether you prefer a Jeep, camel, or your own two feet, you'll need a guide to show you around - private vehicles aren't recommended beyond the Wadi Rum visitor center. Booking an organized tour is your best bet to ensure ease and reliability - we recommend using local expertise to plan a comprehensive trip through Jordan for the most personalized, seamless experience. A number of excellent providers exist with tour, lodging, and activities packages; custom-crafting an itinerary ahead of time ensures hassle-free travel and fair pricing. It's also possible to book tours once you arrive at the visitor center. Jeep tours are the most efficient way to see it all, and range from two hours to multiple days of sightseeing. Bedouin cooperatives have vehicles and guides available for hire each day, and the price of a four-hour tour sets you back about $95 USD. It's important to clarify what your tour will include before you go - if you're interested in making any extra stops, it will likely cost an extra fee that can be negotiated with your guide. You can also book a guided camel ride at the visitors center. While you won't cover as much ground as you would in a vehicle, it's a fun and memorable activity that is unique to the region. Camel rides cost around $30 USD per hour; follow the aforementioned advice for negotiating the terms. 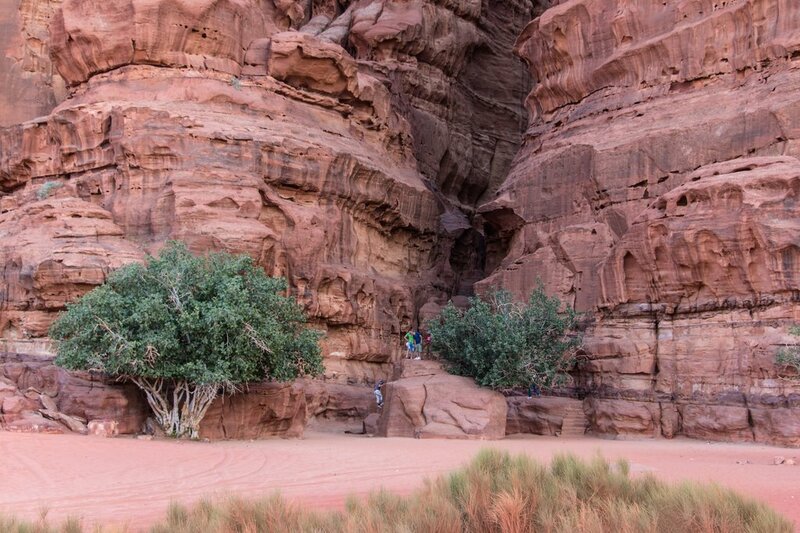 Hiking is also an incredibly popular option for getting around in Wadi Rum. From gentle walks to more advanced scrambles and multi-day treks, exploring by foot affords intrepid travelers a more intimate and adventurous experience. There are two mellow nature trails that begin and end at the visitor center and are easy to follow; if you plan on hiking anywhere else in the wilderness, a hired guide is necessary. Serious hikers can indulge in an endless variety of guided treks, from strolling through a canyon for a single afternoon to nine-day wilderness expeditions. 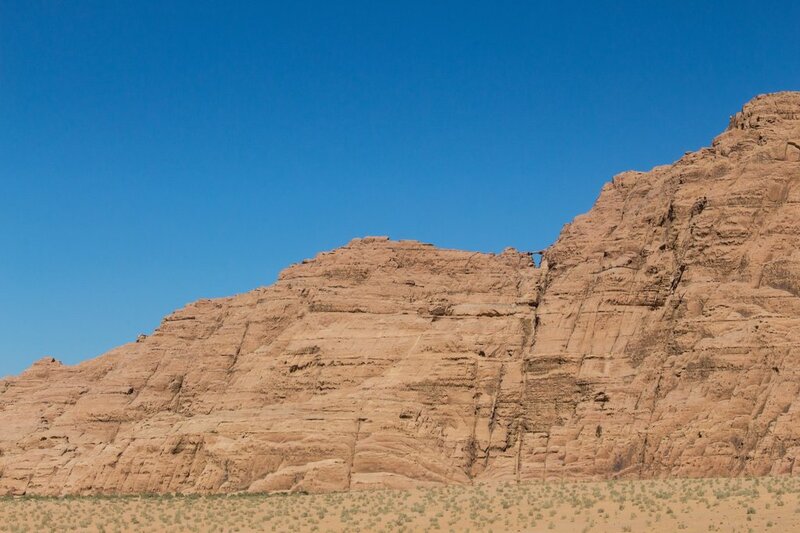 Wadi Rum has no shortage of things to see and do. Take a look at our curated list of must-see attractions, both on and off the beaten path. Lawrence Spring: Marked by a water tank near the entrance of Wadi Shallalah, this spring is named for T.E. Lawrence - "Lawrence of Arabia" - who famously made the area his military base and home. The official name of the small spring is Ain Abu Aineh, and views are spectacular from the top. Khazali Canyon: A long, narrow canyon known for the impressive number of ancient petroglyphs and inscriptions on the rock walls. The first 100 yards are accessible to all visitors; beyond that point, you'll need rock climbing skills (and gear). Anfishiyyeh Inscriptions: Located on the side of a mountain, this is an especially impressive collection of Thamudic and Nabataean petroglyphs, complete with ancient drawings of camel caravans. Barrah Canyon: At five kilometers in length, this expansive canyon is a popular tour stop, perfect for a variety of activities: hiking, rock climbing, and camel tours to name a few. Burdah Rock Bridge: The tallest natural rock bridge in Wadi Rum, worth the moderately challenging climb to the top for the fantastic views. Um Fruth Rock Bridge: Another unique arch, and one of the most photographed landmarks in the area, this fifteen-meter high bridge is featured on many guided tours. Seven Pillars of Wisdom: A rock formation named after the famous book by T.E. Lawrence, accessible by hike or easily visible from the visitor center. Um Sabatah: An ideal perch for sunset views, this hilltop affords gorgeous vistas of the desert. Wadi Rum is a year-round destination, though March-May and September-November are the most temperate months for full days of exploration. Springtime is especially welcoming as desert plants come alive, carpeting the valley floor with bright streaks of wildflowers, and Bedouin herds are once again dotted with adorable baby goats and camels. Paying a visit in summer and winter can be less comfortable weather-wise, with temperatures in the triple digits on the hottest days and hovering in the mid-forties on cold December nights. If you're willing to brave the elements, however, you will be rewarded with significantly smaller crowds. 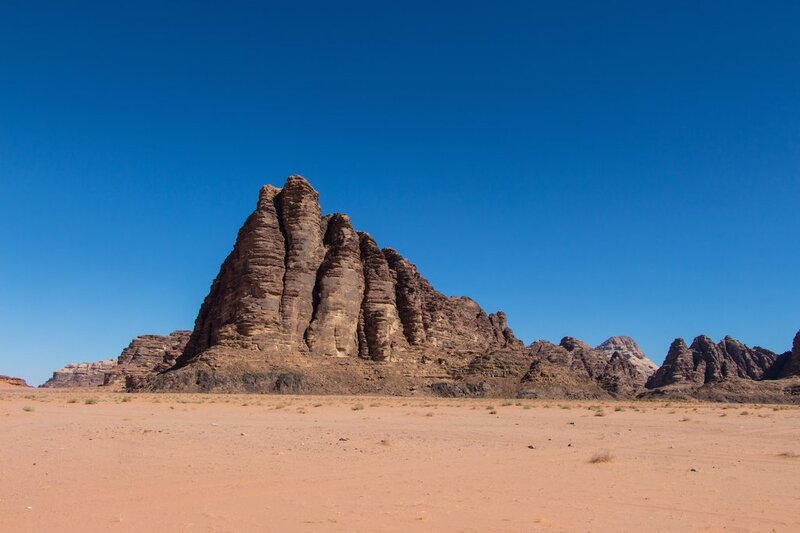 If you have limited time and want to prioritize Wadi Rum, you can travel there directly via pre-arranged private transport, taxi or public bus from the nearby tourist hubs in Jordan. From Aqaba you can expect to pay anywhere from $28-36 USD for a private taxi, a one hour ride door-to-door. If you're interested in a same-day roundtrip arrangement, plan to spend around $60. If you prefer to travel by bus, you can depart from the main station in Aqaba. 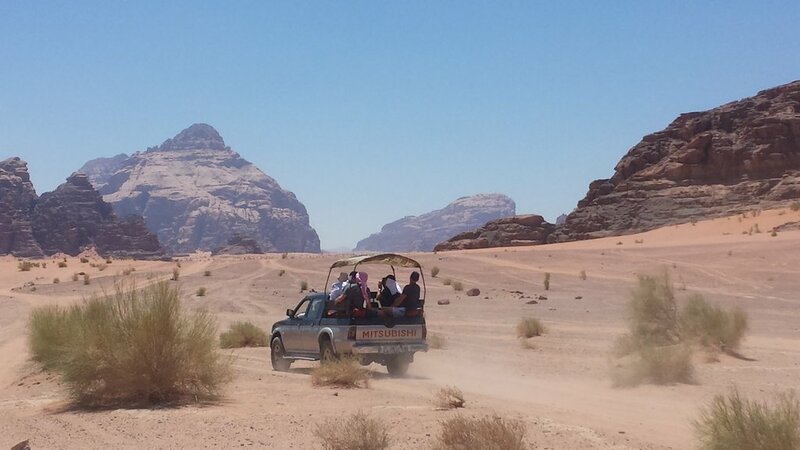 There is one bus per day that leaves for Wadi Rum between 1:00 and 3:00 PM. Travelers coming from Wadi Musa, the village just outside of Petra, can catch a daily bus for $10 USD one way. Book your trip through a hotel concierge - the bus makes its rounds each morning at 6:00 AM, picking up travelers at all the local lodges before heading straight to Wadi Rum. Alternatively, a two-hour taxi ride from Petra to the major entry points of Wadi Rum will set you back $50. 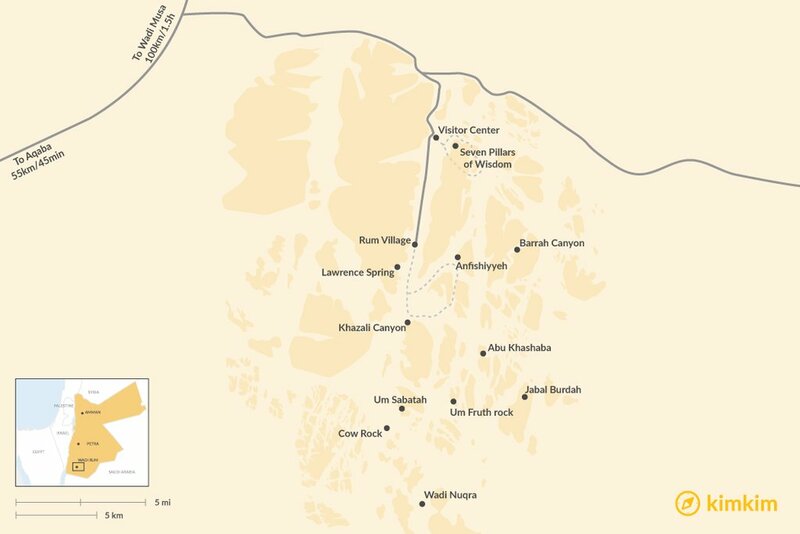 You'll be dropped off in Rum Village or at Wadi Rum's beautiful visitor center: the central hub for tourist activity, located about 25 kilometers after the clearly marked highway turn off to the protected area. In addition to the visitor information desk, you'll find a few souvenir shops. Most importantly, this is a main meeting spot for a la carte day tours and where you'll pay the $7 USD park entry fee for international guests (consider purchasing the Jordan Pass if you plan to visit multiple sights in Jordan, more info can be found on the official site). Your options for spending the night in Wadi Rum vary from luxury glamping to sleeping bags in the open-air. Regardless of where your budget and interests fall, the remoteness of this desert paradise means you'll feel close to nature in even the cushiest of camps. Don't be deterred by the lack of Western-style lodging; the charming Bedouin hospitality and awe-inspiring beauty of the desert make for a comfortable and enjoyable experience. In terms of Bedouin-style camping, you have a few choices. 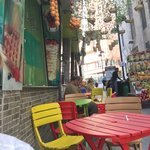 There are a plethora of tourist camps in the area for you to select from, all with fairly similar offerings, although quality and cleanliness vary. Typically, each has a number of private tent cabins that house between 2 and 6 people and shared bathroom facilities with solar-heated water. The communal area normally includes a kitchen, indoor dining area, and outdoor lounge space around a fire. These days, most camps also offer electricity in the evenings, alleviating worries about phones and cameras that need to be charged. You can also stay with a Bedouin host family for a night in their quaint bayt shacar: a special tent made from strips of goat hair sheep's wool. Staying with a nomadic family allows for immersion into Bedouin customs, and a chance for deeper cross-cultural conversation. This is an adventurous experience: There are no toilets or showers and you sleep on the floor. This is a highly recommended experience for travelers who are happy to sacrifice comfort for a truly memorable experience. Particularly adventurous folks might prefer yet another option: to sleep under the stars in the open air. Bivouac camping is incredible, but also incredibly minimalist - remote campsites are sans bathrooms or running water. It's just your group, the stars, and a roaring fire. 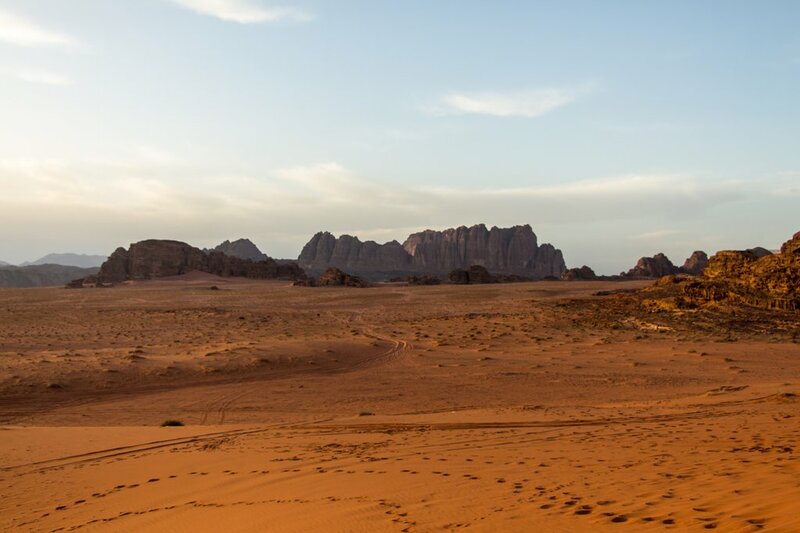 For travelers in search of a true luxury experience, try the Wadi Rum Night Camp. You'll rethink your definition of camping at this cushy outpost that boasts beautiful furniture in lavish tents, high-end bed linens, and elegant (but mostly shared) bathrooms. One attractive option is their "Full of Stars Hotel": a collection of domed bubble tents made partially of transparent plastic, perfect for stargazing. If full-on camping isn't your style, you might want to try Bait Ali Lodge, an established campground just outside Wadi Rum. Their offerings include some rooms with air-conditioning, a restaurant, and even a swimming pool. You can stay in one of their structures - they have cabins and big canvas tents - or bring your own camping gear to set up. One important note: Bait Ali does not organize tours of the protected area, so you'll need to book that separately. Sleeping under the stars isn't everyone's cup of tea - if you prefer a more standard hotel experience, the seaside town of Aqaba is your best bet. About 60 minutes from Wadi Rum, Aqaba has lots of reasonable places to stay, including full-on resorts and pleasant B&Bs. The InterContinental Aqaba is great if you're looking for endless amenities. This large, high-end resort has its own private beach, along with five restaurants, a fitness center, and a host of places to shop. It's also just a quick walk from downtown (or a $2 USD cab ride). The nearby Movenpick Tala Bay is a similarly luxurious property, with highly rated spa services and no shortage of ocean-view rooms. A good midrange option is Al Qidra Hotel, a conveniently located hotel with large, airy rooms and a welcoming staff. Breakfast is included in the cost of your stay - along with a shuttle to the beach for those who want to skip the ten-minute stroll. The same friendly vibes can be found at the Golden Rose Hotel, a clean and simple budget option in the city center. Not interested in hanging out on the coast? Petra, though a bit further away from Wadi Rum, is also a legitimate location to consider. You can find a solid list of lodging ideas here. Especially in the summer months, the desert heat can be intense. Take measures to ensure your comfort, like regularly applying sunscreen, drinking more water than you think you'll need, and saving most activity for cooler times of the day. Want to bring home some amazing photographs? The brilliant hues of the desert are more striking in the early morning and just before sunset - ask your guide to schedule rest stops with awesome views accordingly. Dress appropriately for a long day of exploring outdoors. Wadi Rum is vast, and even if you opt out of any challenging hikes, you'll still want to wear comfortable shoes with good grip, clothes you can move in, sunglasses, and a wide-brimmed hat. Take breaks as needed to stretch or sit and rest. If you're spending the night in Wadi Rum, double check what your tour company provides and what you need to bring with you. No matter what amenities are provided, be sure to pack a flashlight. Electricity is powered by solar panels and generators, so having a backup light source can come in handy. Temperatures can drop substantially once the sun goes down, making warm clothing layers a necessity as well. Another essential item for nights in the desert? Bug spray! Being in the wilderness means some exposure to wildlife, which is a fun and exciting element of visiting a nature preserve. However, it's important to be aware of your surroundings and exercise caution. Snake and scorpion encounters are extremely rare, but if you happen to come across one, observe from a distance and alert your guide and others nearby. People come from all over the world to experience Wadi Rum. Make new friends and enjoy the unique sense of community in the Bedouin camps - who knows, you may meet travel pals to adventure with as you continue your journey through Jordan.